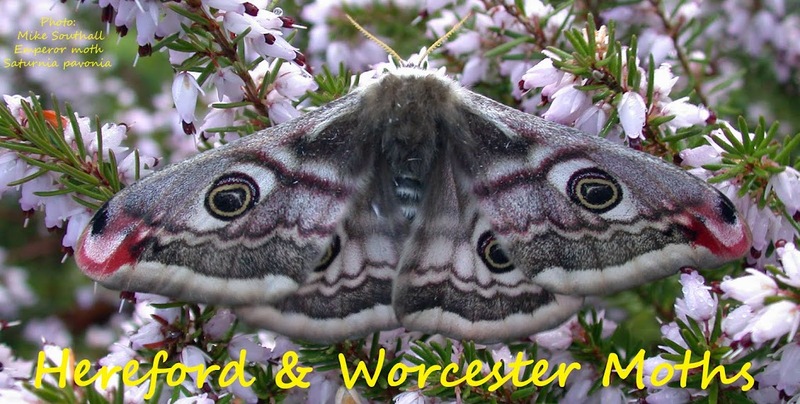 Hereford and Worcester Moths: Hummingbird Hawk-moth at Kidderminster 3rd Feb.
After a talk last night a lady in the audience showed me a video, taken with her iPad, of a Hummingbird Hawk-moth nectaring on Daphne in her garden on the 3rd of Februrary. If I'd had my wits about me (left at home again) I would have obtained all the details to put the record on the database. As it is I only know the date and that it was somewhere in Kidderminster. Another record where I would love to know the origins the moth, whether it was a February migrant from Europe or perhaps a surviver from last year, or even an accidental import. I believe they have been recorded in every month of the year so perhaps not totally unexpected but nice to see.